The Dutch royal family has announced it will return a painting by Joris van der Haagen from its collection thought to have been looted by the Nazis during World War Two. The Hague Forest with a View of Huis ten Bosch Palace painted by 17th century Dutch master Joris van der Haagen had been bought by Queen Juliana from a Dutch art dealer in 1960. The palace said an investigation looked at tens of thousands of art works in the House of Orange’s collection. 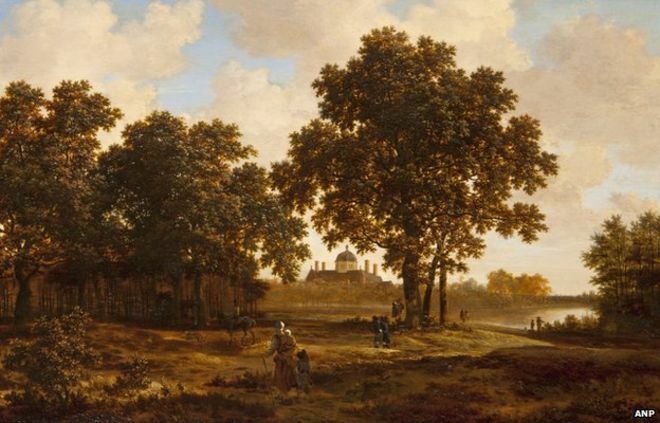 “A Jewish collector was forced in 1942 to hand over the painting Haagse Bos with view over Huis Ten Bosch Palace by Joris van der Haagen to the (Nazi) bank Lippmann, Rosenthal & Co in Amsterdam,” said the report, which was commissioned by the palace in 2012.